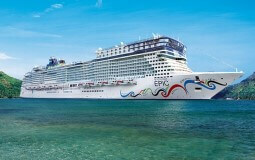 [Norwegian Epic] Special Promo: Western Mediterranean - Limited time of great deals and discount! 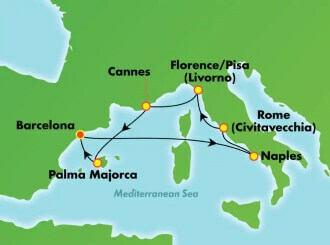 (1) 1st & 2nd guest may enjoy 50% Off of cruise fare. (2) FREE for 3rd & 4th passenger when sharing the same cabin with 2 full paying guests. * Promotional cabin types: Balcony & above. * Subjected to port taxes (MYR 474 per person). # Rates subject to change due to daily exchange rate. (4) Fare price excludes an onboard gratuity of up to USD 17.50 per person per night. (6) Norwegian Cruise Line reserves the right to withdraw this promotion or amend the price any time without prior notice.